The Point Condominiums is a 54 unit development that provides luxury residences to home buyers who want to live, work and play in the heart of the City. 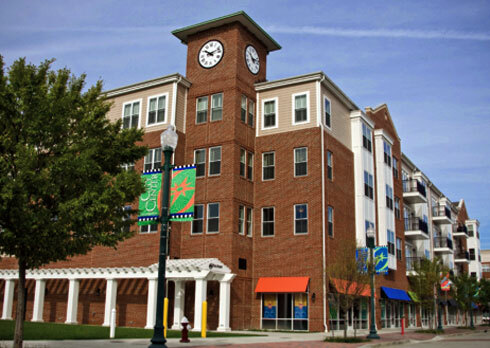 The traditionally styled brick building with its bay windows, and sloping roofs, and the iconic clock tower is the perfect complement to the lifestyle mixed use district that it overlooks. Every part of City Center is within walking distance of The Point, and residents have the opportunity to enjoy every aspect of urban living whether it is dining out, shopping, or attending programmed event, concerts, or festivals at the Fountain. Residents of the Point enjoy parking in covered and open parking areas within their gated project.